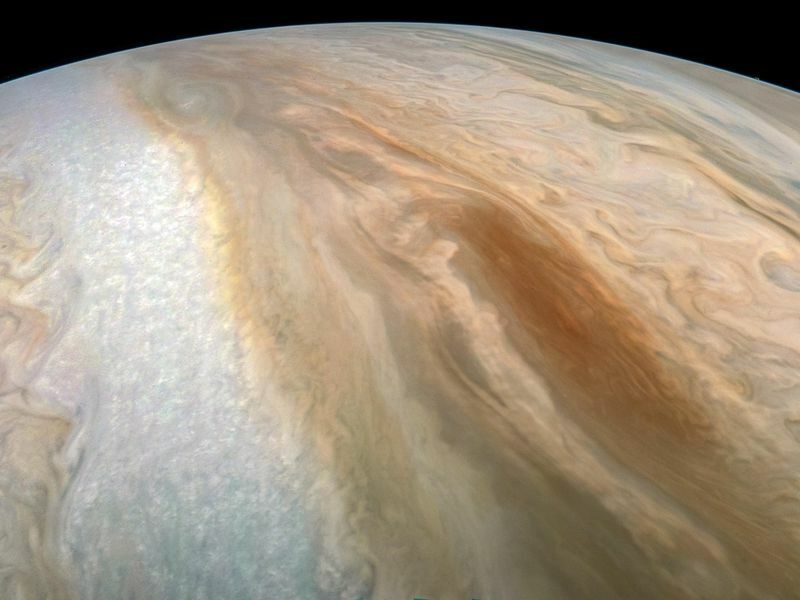 Data obtained using NASA's Juno spacecraft has revealed the depth of the "colorful bands of clouds" of the gas giant planet. Jupiter's bright Equatorial Zone swirls with dark patches, dubbed "hot spots" for their infrared glow. These holes in the ammonia clouds at the top of the atmosphere allow a glimpse into Jupiter's darker, hotter layers below. In 1995 NASA's Galileo spacecraft dropped a probe directly into a hot spot, taking the first and only in situ measurements of Jupiter's atmosphere. Now, movies recorded by NASA's Cassini spacecraft reveal that hot spots are not just local weather phenomena, but are in fact linked to much larger-scale atmospheric structures called Rossby waves.